Whilst less than 400 yards long, this is a very difficult par 4. 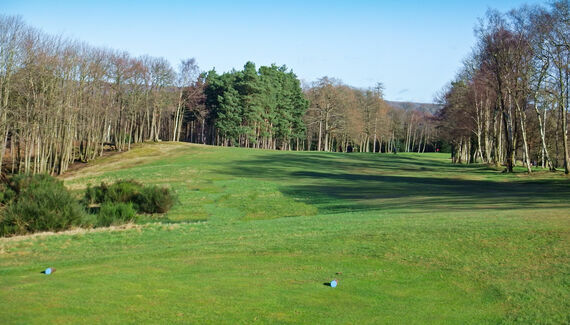 The tee shot is hit over a valley and the fairway is lined with pines and undulating, so anything off centre can easily find trouble. A well-struck straight tee shot will typically leave a mid-iron to a wide green sloping from right to left.